New GSX-R 750 – Since Suzuki introduced the first official prototype of the GSX-R 1000 2017 at EIMCA 2015, the whole world began to wonder if the Hamamatsu factory would follow the same path with its 600 and 750 cc models. 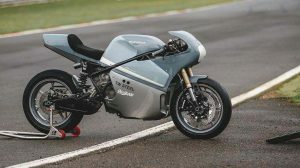 To date, the Japanese brand has only confirmed the development of the new Hayabusa, a model that could reach markets around the world in a couple of years with a 1400 cc supercharged engine, in addition to incorporating a range of Electronic aids that little would have to envy the competition. If the Hayabusa became an icon for Suzuki in the first decade of the 21st century, no one can question the historical importance of the Suzuki GSX R750 in 1985, the year of its launch, when Suzuki put the first Superbike with aluminum chassis derived directly from the competition, a bike that marked a before and after in the segment of sports motorcycles. A name and surname as illustrious as those of the GSX-R 750 cannot be forgotten, and everything seems to indicate that Suzuki is not willing to do so. 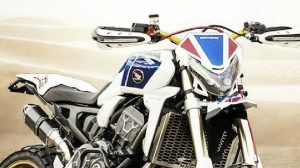 According to Australian media Amcn.com, internal sources of the company would have confirmed their intention to renew the ‘gixxer 750‘ within a maximum period of two years, launching a new model based on the chassis and part cycle of the new GSX-R 1000 With an engine derived from the current GSX R750, already adapted to the Euro4 standard, more economical in its construction than the 1000 cc engine, which uses technology derived from MotoGP. 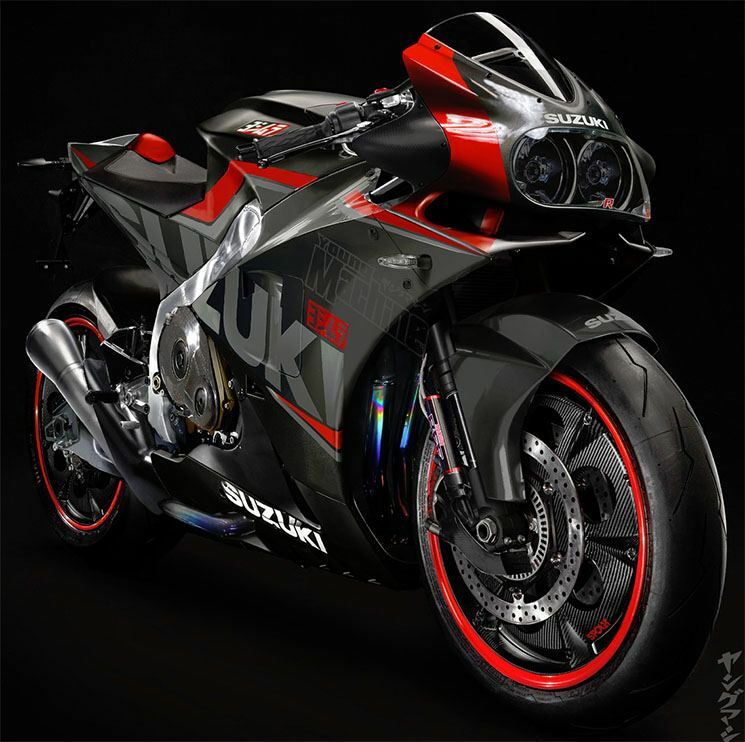 Suzuki is aware that the New GSX-R 750 is a bike that can not compete in any international championship due to regulations, a circumstance that, however, has not prevented brands such as Ducati or MV Agusta from launching supermodel models that are Halfway between the Supersport and Superbikes like Panigale 959 and F3 800, two sports ‘in no man’s land’ that, however, have managed to find a small gap in the market. 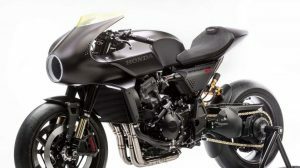 For this reason, and taking advantage of all the development that Suzuki made with the new GSX-R 1000, every day seems closer to the possibility of seeing a modern New GSX-R 750, with an engine based on the current tetracyclindrical structure and a near power To the 150 hp with the homologation necessary for its sale in the European markets. Following this trend, and as long as development costs do not skyrocket, the 600 cc model could also come back to life before 2020, especially after checking the good reception the Yamaha YZF-R6 2017 is taking, The only model in the Supersport segment that has been renewed to continue to comply with European regulations, in addition to incorporating a series of electronic aids and a part cycle derived directly from its sister, the R1. SuperSport bikes are not typical for those kinds of journies but, that’s not to say you can’t do them. One of the really nice things about Suzuki’s SuperSport bikes is that they’re not a very aggressive riding position and the stock seat isn’t too bad. However, for that kind of ride I would definitely recommend investing in a much more comfy seat. You would also want to look into modifications for being able to transport luggage. Another mod you will want for that kind of ride is cruise control. Steve, I regularly ride from London to the Nurburgring, do a long weekend on track and then ride back. Say 2000 miles in 4 days. I’m in my fifties, and yes, I’ve used sportsbikes most of my life but I am (apparently) only human. Get a set of Ventura luggage to make life easy (and allow high speed cruising without the associated death weave that comes with soft panniers) and enjoy yourself. Hi Steve;I had a 1986 Suzuki GSXR 750.I was still young and it fried my back on any frewway riding.It shone in canyons and was fun on short rides.It got stolen January 1987 from work.The one day I didn’t use my Kryptonite lock.I like the sportbikes with higher handlebars and I don’t advise the GSXR for long trips unless you have a great back and your very strong and young.